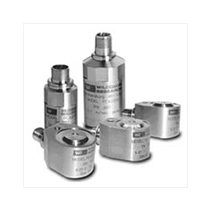 Since 1960 Wilcoxon Research has been providing superior vibration sensors and accessories for use on rotating machinery. Since 2004 Wilcoxon has been owned by large, international companies which have provided support for extra predictive maintenance products and movement into process control instrumentation. Check out the website. It was recently revamped and is much easier to navigate. 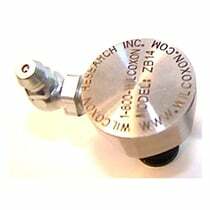 Predictive Maintenance Sensors have been the mainstay of the Wilcoxon product line since the beginning. They are built in a state-of-the-art plant in Germantown Maryland. Wilcoxon is very proud of their superior meantime before failure rates. It is part of the TLC - Total Low Cost approach to condition monitoring. Better products. Better service. A company that stands behind their products. Most of the popular products have Life Time Warranty. Better yet, the warranty rarely has to be used. Many of the products and accessories are Guaranteed In-Stock for overnight shipment. Amazon has nothing on Wilcoxon. Trending now is continuous condition monitoring using vibration transmitters to report on pending disruptions. This way there is a warning that something has changed and more diagnostic action can be taken. 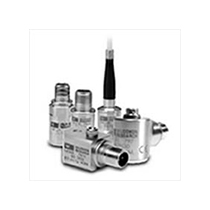 Wilcoxon has vibration sensors with 4-20mA output. 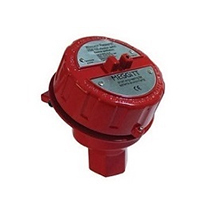 And vibration transmitters with alarms built in. The latest is vibration sensors with HART protocol built in so they can be programmed in the field to fit in with digital control systems. If you already have vibration sensors installed, you can add transmitters that have both 4-20mA and dynamic outputs. Instrumentation is now available from Wilcoxon. Simple, starter vibration analyzers and handheld IR sensors can get you started in predictive maintenance without breaking the bank. Accessories can make or break the installation. They even have Zerkometer® mounting bases to make installation easy. There is a complete array of cables to complete the project. The Wilcoxon website has three pages of enclosures. Usually their prices are less than what it would cost to take a general purpose enclosure and adapt it to vibration monitoring. EXPERIENCE is important when it comes to vibration monitoring. Both Stapleman Corporation and Wilcoxon bring that to the table. We have seen it and done it. Look at the resources available on their website. We have the people to back up those resources both at the factory and in the field. It comes with full service to make Wilcoxon products the Total Low Cost solution. From accelerometers to paper analyzers and everything in between, Stapleman Corporation is here to provide you with world-class factory automation products. With more than 35 years of experience under our belts, we can easily assist you with your needs. Get in touch with us today to consult us about your sensor concerns.